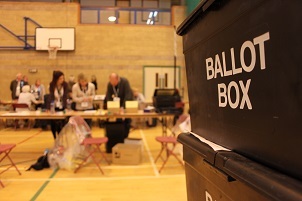 Those standing for election to Tendring District Council (TDC) and town and parish councils in the area have been revealed after the nominations deadline passed yesterday (Wednesday, April 3). All of the new wards for TDC are being contested, with a total of 163 candidates vying for 48 seats come polling day on Thursday, May 2. In addition to the district council elections, the five wards for Harwich Town Council, five wards of Frinton and Walton Town Council, the Point Clear ward of St Osyth Parish Council are being contested, along with Wrabness Parish Council. The remaining parish and town council elections will not be contested, with fewer candidates than seats available. The candidates are therefore elected without the need for a poll. People are being reminded they only have a few days left to register to vote, if they have not already done so, in order to be able to vote on May 2. People must be registered by Friday, April 12, to be eligible to vote in local elections. To sign up, visit www.tendringdc.gov.uk/elections or call 01255 686575, or visit Clacton Town Hall between 10am-4pm on weekdays. In addition, EU citizens are being reminded that they are eligible to vote in the upcoming local elections whatever happens with EU Exit in Parliament in the coming weeks. In addition, if voters want a postal ballot then they must apply by Monday, April 15. The deadline for a proxy vote – where someone can vote on your behalf, available in some circumstances – is Wednesday, April 24. “As Tendring District Council goes from the current 60 councillors down to 48 this is your chance to shape the council for the next four years,” Mr Davidson said.